Quince, with its contemporary, Californian cuisine and Chef Michael Tusk at the helm, has delighted patrons for more than a decade. 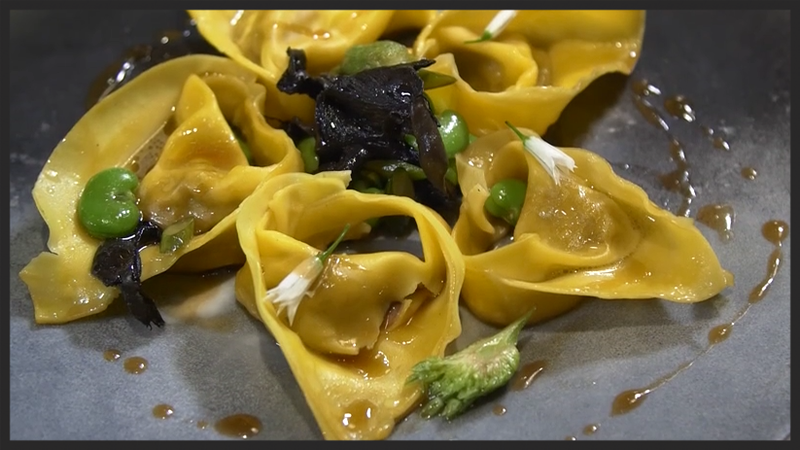 Known for its high-quality experiences and equally high-quality ingredients, we visit this innovative, fine-dining restaurant to explore the idea of the shepherd-to-chef approach and whole-lamb integration into a menu in this episode of "Table 42." The strong and personal relationship between chef and farmer is important when providing customers a consistent experience throughout the menu. At the Quince back of house, Paul Barron joins Chef Michael Tusk and local farmer Don Watson of Napa Valley Lamb to break down a whole carcass of American lamb. "We basically have legs, and then the loin to the ribs, and then the rack, and then the shoulder from there," Watson said. "Until we got to this genre of chef, people didn't understand it and were challenged by it, but your flavor and texture is fantastic when that's slow-roasted." And why is this genre of chef broadening? Why are more and more chefs deepening the connections they have with local farms? According to Watson, it's something that just makes a lot of sense. "It's like sustainable farming. ...The price for the whole lamb is considerably less. It takes the time and creativity of the chef...but he is able to get much higher-quality product to the table at a much more reasonable price, and then he gets to do it his way. He doesn't have to go with some industrial standard. He's doing it from the artistic perspective," he said. It's exciting for a young cook to walk into the kitchen and experience breaking down a carcass, as the practice is still not quite common. The opportunity makes all the difference, not only for the guest's final plate, but also in furthering the education of future chefs. "The end goal is to really not waste anything, maximize the flavor," Tusk said. Watch the full episode to learn more.